The decline in posture is growing by the year. It shouldn’t be any surprise, look at all of the things we do on a daily basis: we sit on the couch, we sit at a desk, we drive to work, we check our e-mail and surf the web, and we go to the gym and work our chest, shoulders, and arms. That right there is the perfect recipe for poor posture and future injury, if left uncorrected. Janda’s upper crossed syndrome is the perfect explanation of what soft-tissue changes occur at the upper extremity as we age and as a result of our lifestyle (see picture below). Plain and simple, the chest and upper trapezius become overactive/tight, and the deep neck flexors and lower scapular muscles become inhibited/lengthened. Exercise is a common prescription for correcting these postural changes. It does make sense to a degree, but strengthening or activating muscles is only half of the solution. The overactive/tight muscles must also be effectively lengthened. In chronic situations, finding a solution takes more than just these two strategies alone. One thing to realize is that chronic muscle tightness actually changes the state of the affected muscles. Not only are they tight, but often lacking the necessary oxygen and blood flow, which creates fibrosis. That is why a more well rounded approach, including Active Release Techniques (ART), is needed to address the function, texture, and tightness of these tissues to allow for full restoration of length. In contrast, ART alone won’t be a fix by itself. Once the quality of a tissue is improved, it is up to the brain to register the changes made with treatment. Unfortunately, I find many therapists still solely treat without any other interventions. For example, let’s say the mouse on your computer stops working. Once you remove the broken mouse and attach a new mouse to the USB port, the computer screen usually has a pop up which tells you that new hardware has been detected. Plugging the mouse into the port tells the computer there’s something new with one of it’s components. This is important. 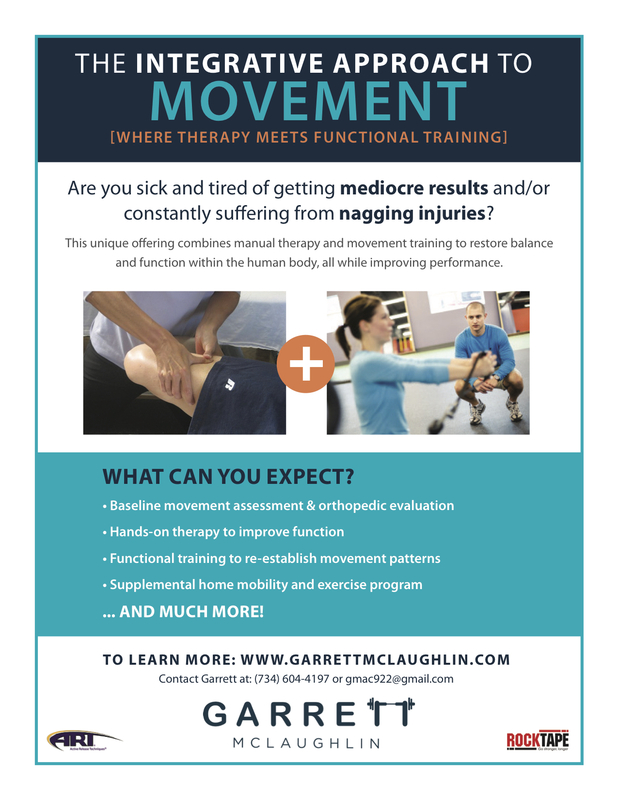 Too often, therapists perform manual therapy without then moving the affected area through it’s range of motion or challenging it in some way to fully register these changes. That is why a combined approach of soft-tissue work, stretching, and movement can create maximum benefits while improving posture.